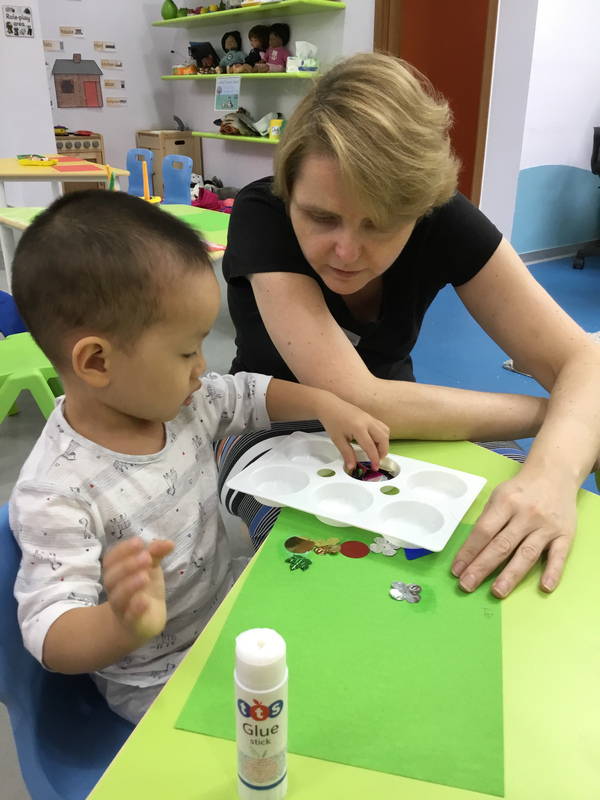 I have spent many years working in a variety of settings with children, and this is my fifth-year teaching internationally and my 25th year within teaching in total. 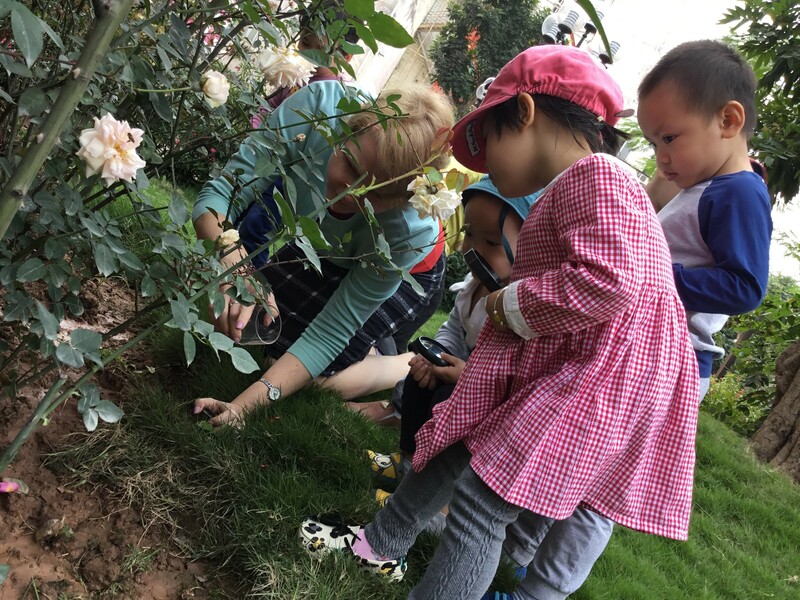 I’m was new to Asia, so the opportunity to work at TH School in Hanoi, Vietnam was very exciting. When I arrived, I was completely new to IEYC, having only delivered the EYFS (UK) curriculum for under 5’s. TH School is a brand new school so it’s building up its numbers. Currently I have a class of 6 Vietnamese 3-4 year olds. It’s fantastic to see how their English language has progressed. 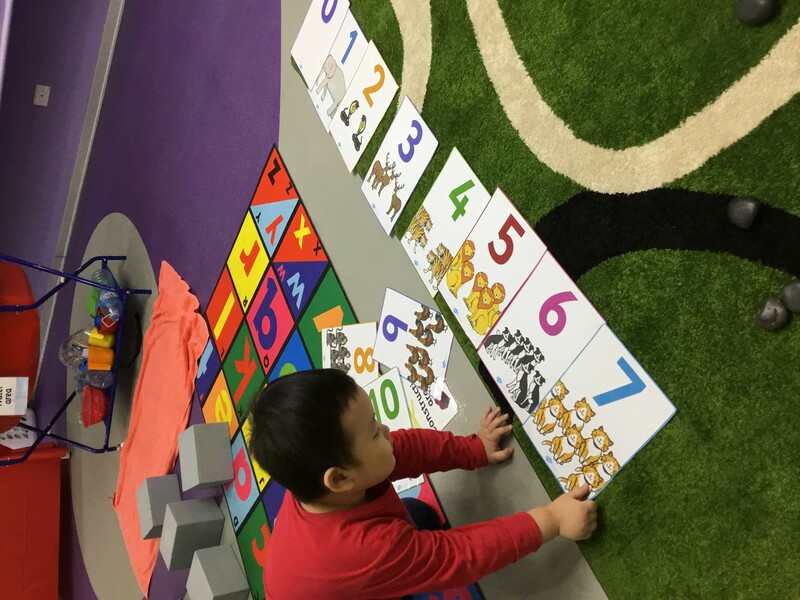 I find when teaching children with EAL, you do not need to translate everything, but instead, assist them to understand through context, real objects, play based learning and visual props. It is also very useful that I have a Vietnamese teaching assistant who can translate where needed! I really enjoy teaching the IEYC. I went to the Singapore Festival of Learning 3 day course earlier this year, to learn more about IEYC and then booked a space on the ‘Getting to Grips’ with IEYC course. I am very keen to acquire as much knowledge as I can as I like to support my colleagues. I would highly recommend booking onto the ‘Getting to Grips’ course. It helped me a lot! So far on my IEYC journey I have completed the units ‘This is me’, 'Animal Rescuers', 'Weather Wonders', 'Brilliant Bug Ball', and ‘Press it, Click it’. I really like the printable unit guide, meaning I can work through the activities, but I’m under no pressure to follow the book exactly, I can add in my own activities or change them according to the needs of my students or resources available. There are many ways the outcomes can be covered. We are changing our planning and assessment methods and acquiring new resources to fit with our topics. We are also reflecting on our outdoor opportunities, so children can go outside to consolidate their learning and access further opportunities. Continuous provision is an area which is very important for early year’s settings. I change my environment at the start of each unit, and put resources which fit with the topic, plus anything else I want them to learn such as literacy and numeracy. I change the environment gradually adding new resources to extend their learning, each week. My Continuous Prevision areas include art/messy play, literacy table, numeracy table, malleable materials table, small world, imaginative/home corner, tuff tray, and a water tray. Play is crucial for the children to develop their skills in all areas, to socialize and to have ownership over what they do. So often, children are directed all of the time and have few choices, it’s so good to give them opportunities to develop their own interests and then we can incorporate this into the planning. One example of this is the book ‘We’re going on a Bear Hunt’, my children loved this book so much, and we made a video of the children acting it out! This wasn’t related to their unit, but the idea was child initiated. I use ‘Letters and Sounds’. I teach my children letter sounds, I have had a little success so far with blending and I am about to start wordless reading books with them to further support language development in preparation for writing. Every day I do 20 minute carpet times twice a day. These consist of Literacy and Math, IEYC unit work and stories and songs. I vary what I do throughout the week. I use discussion, videos, photos and a mix of teaching techniques within my students learning. I believe a background in child development is important because it’s very useful to know the expected milestones your children will likely reach at a given age. Of course, they may not, and it’s OK for children to develop later. It’s good for teachers to be aware of what children are capable of achieving at each age, so support can be provided if appropriate. I find the parents are all really happy with this curriculum. The parental involvement in the exit points and the newsletters at the beginning (which we translate for parents) are an amazing way for parents to feel included and get involved. In summary, I would highly recommend this curriculum for experienced practitioners and newly qualified staff alike, because the units provide activities to support those who need this. This curriculum gives the children a breadth of experiences and covers all areas of development to support 21st Century learners.